Holly mother of paper bags! There are months now since the hf was storing clean paper bags in another paper bag. First I thought it was a variation of a cultural habit. The Western Europeans have this weird habit: store plastic bags in another plastic bag just in case… So, I really believed the paper bags had an unknown and non understandable (from my point of view) purpose. The not so funny part was that they were stored in under our nose. 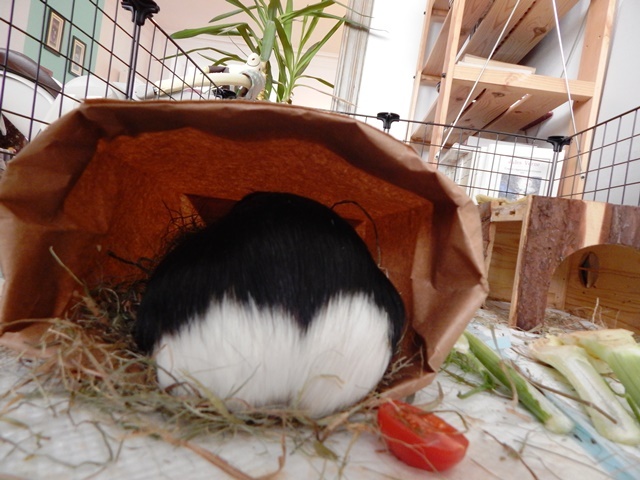 And everybody knows that we love paper bags. 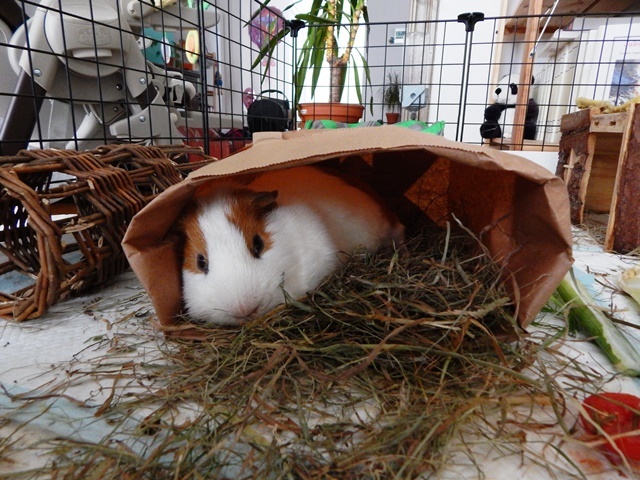 As cats adore boxes, we love paper bags filled with hay. So having them in front of our eyes and not being able to chew and play was not at all funny. Data and Spock were convinced the bags were for us, but Worf and I were sceptical. I mean the bags were there for months and I saw no intention from the hf to move them in our pen. But few days ago a miracle happened. 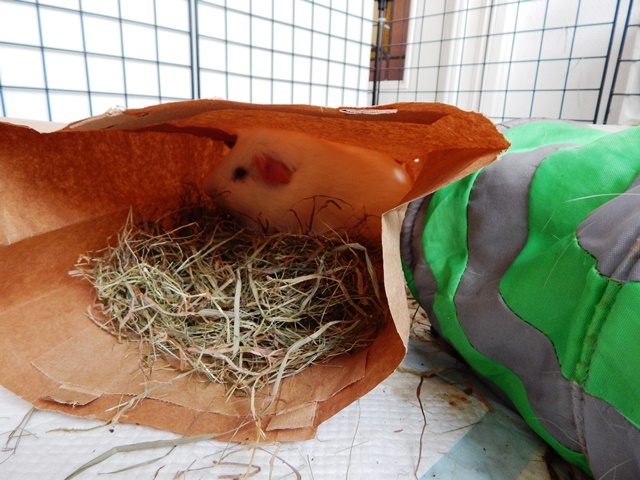 Suddenly a paper bag showed up in our room and one in the one of the white piggies. Data and Spock had no issue to share their bag. Spock even “renovated” the bag and produced a hole in the back to have a fire exit. But Worf and I had no intention to share. 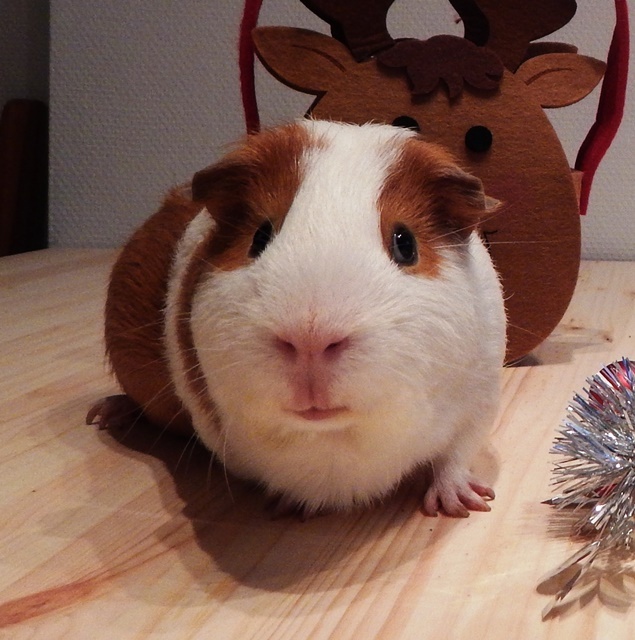 Honestly, who could imagine that two big piggies like us would fit in one bag? So for two days we had paper bags in our rooms and the tunnels were forgotten. Of course we peed and pooped in the bags, and they got stinky, but that’s the joy of it!